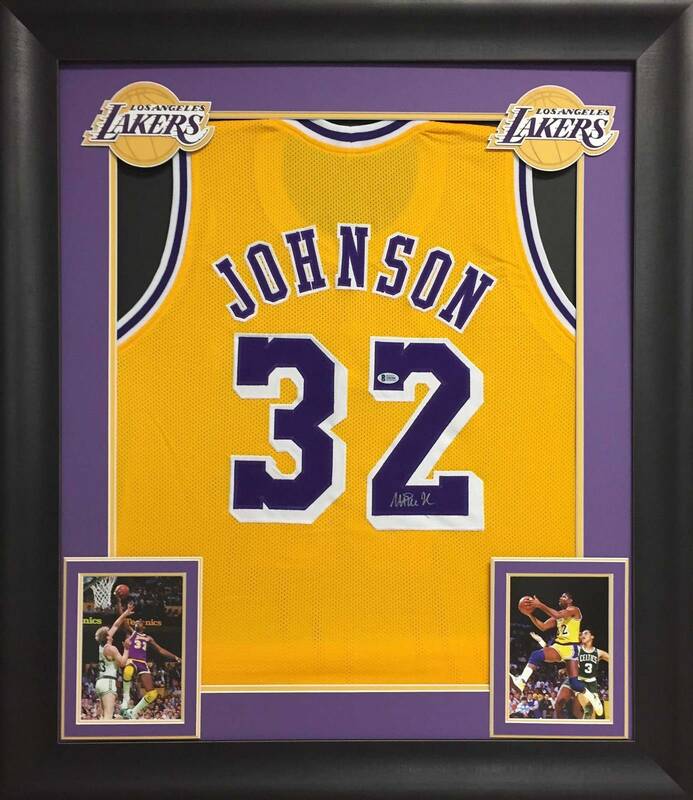 You are viewing a Framed Los Angeles Lakers jersey that has been hand signed by Magic Johnson. 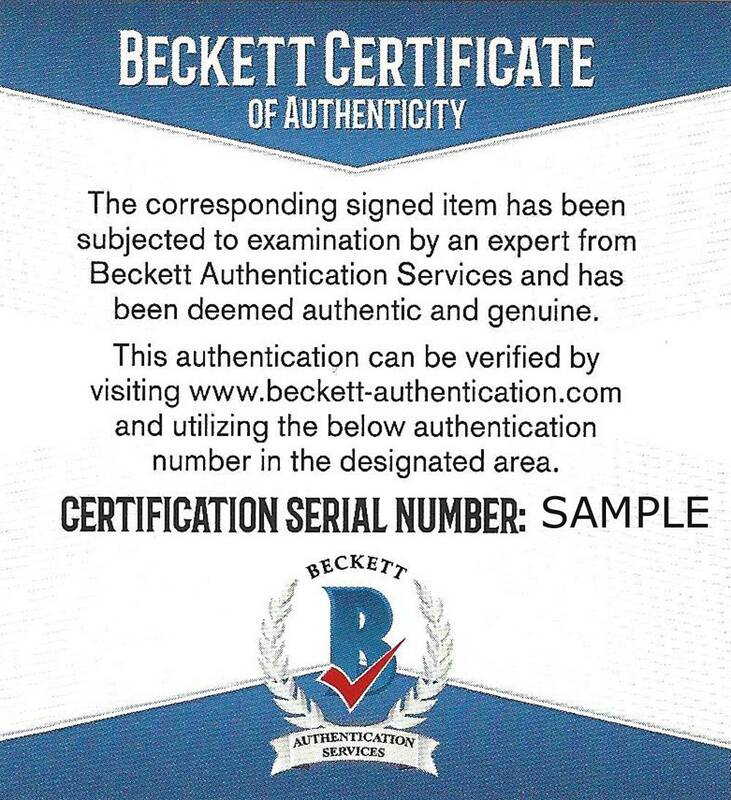 It has been certified authentic by Beckett and comes with their sticker and matching Certificate of Authenticity. 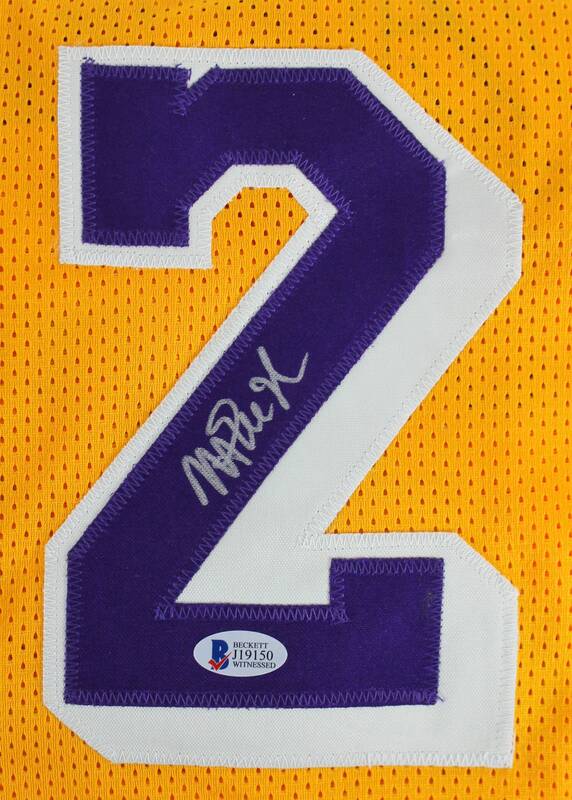 Frame measures about 37x32.